Remember the bikes of the 1920s and '30s? Yeah, neither do we. 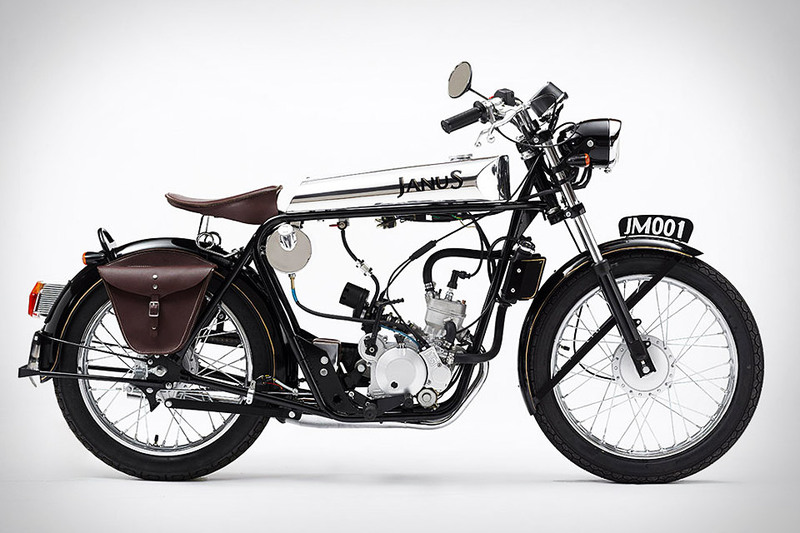 But if we could, we bet they'd look a lot like the Janus Halcyon 50 Motorcycle ($3,900-$5,300). Inspired by classic, record-breaking bikes of that era, the Halcyon 50 features a sprung leather seat and panniers, wide handlebars, and a fantastic, streamlined polished aluminum fuel tank. Just don't expect to set any modern records on it — with a maximum speed of 55, it's more suited for urban streets than wide-open road. Street-fighting power and nimbleness meet open-road amenities in the Ducati Diavel Strada Motorcycle ($15,000). Powered by the same Testastretta 11° engine as its stablemates, the Strada comes standard with a number of comfort-focused accessories like side bags, a windshield, a larger seat, and raised handlebars. All of which help to make it ideal for long-distance rides — without giving up any of the performance features that make it a Ducati.